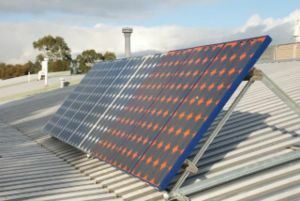 An example program is the Australian Sustainable Schools Initiative (AuSSI), which is a partnership of the Australian Government, the States and Territories that seeks to support schools and their communities to become sustainable. AuSSI involves participants in a whole-of-school approach, to explore through real-life learning experiences, improvements in a school’s management of resources and facilities including energy, waste, water, biodiversity, landscape design, products and materials. Associated social and financial issues are also addressed. The Initiative’s vision is for all Australian schools and their communities to be sustainable. This page was last modified 23:41, 1 October 2008.